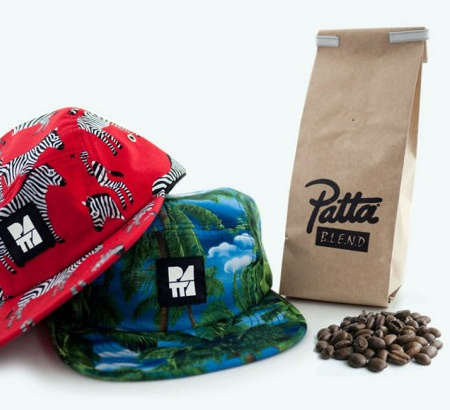 Now this is an interesting collaboration for you - Amsterdam based retailer PATTA and Coffee Company collaborate on a pop-up store and limited edition coffee blend. More information on the collaboration over at Coffee Company. Hit the jump for additional information on the project, and the thought process that went in to the special coffee creation. The collaboration isn't that off the wall when you think about it - two companies that are passionate about what they do coming together to create. immediately come to mind thinking of Patta. is from the Shikasso farm in the Sidamo region of the motherland of coffee. choice cuts, downloadable for free at patta.nl.